Sometimes, it feels like there’s so much to do on your blog it’s hard to know what to focus on. Whether it’s wanting more pageviews or wanting to make more money, it’s always something. In an attempt to combat the chaos, I’ve come up with a list of 10 ways to improve your blog right now. These are actionable items you can take to boost your blog ASAP. So, let’s get started… here’s my list of 10 ways to improve your blog right now. There is tons of traffic out there and lots of money to be made from blogging. You just have to get your blog in front of the right people. But there is no point in doing that if your blog isn’t ready. You have to make sure your blog is set up properly. All the other tips are going to magnify your blog and promote it. So, if you don’t have it set up properly, all the effort in the next steps will just make it fail faster. Because I knew nothing about blogging three years ago and learned everything on my own, I created three resources to help you make sure you set up your blog the right way. These are all free. However, you can take a more in-depth course that I took and it will walk you through exactly how to set up a professional blog (with videos and everything) — it’s called Launch Your Blog. Your blog needs to be super organized. This sounds simple enough. But sooo many bloggers get this wrong. Your blog should be so easy to use and visually appealing that readers are stuck on it longer than they ever intended. The easier your blog is to use, the longer people will stay on it. Not only does it need to be easy, but it needs to be for the reader. It shouldn’t be about hiring you or how awesome you are. It should be about the tools you can provide your readers. So, how can you do this? Download the EBA Blog Structure Blueprint. This gives you an exact structure to organize your blog. This is what I used when I rebranded my blog. People like visuals more than text. This means in order to have a successful blog, you need to have the best possible images out there. Find the best images for your brand and use them on your blog. I use Haute Chocolate,and most recently iStock and Deposit Photo, for my images because they’re feminine, clean, and fit within my brand. Find what images are out there that fit within your brand and use those. Be consistent and spend time on high quality images for your site. A website with awesome images gets noticed. Take steps to optimize your site and blog posts for Google search engine optimization (or SEO). I avoided SEO for 3 years because it felt overwhelming. Just a few months ago, I spent a ton of time learning it (finally). I created a 21 step guide to walk you through exactly how to optimize your blog for SEO. You can download the post as a PDF and get started fixing SEO on your site now. SEO improvements can help people find your blog, which is what you need to help grow your blog. In blogging, people always say “your email list is everything”. And the people are right. Nothing has proven more powerful for my business than my email list. Here’s why. Social media and SEO change over time. The rules change. The algorithms change. But your email list does not change. You have direct access to the people on it. So, if you grow your email list, you have greater control on the success of your business. The bigger your email list, the more money you can make. To grow your email list, you need to use an email provider. There are lots of email providers out there to choose from. I will caution you to be careful choosing a provider. Your email provider can be the difference in success and failure when it comes to growing your email list. Make sure you are signing up for an email provider specifically for bloggers. You will have access to so many important features, like forms, sequences, and stats to see how your emails are performing. Think about your end-goal. This is why I use ConvertKit. When I made the switch, I took my email list from under 2k to 10k+ in a few months. Now, my email list is nearing 20k and it is the single-most important strategy I use to make money blogging. If you want to make money blogging, then investing in an email provider that will increase your email sign ups is a good investment because you can make money from it in return. It’s not uncommon for a blogger’s revenue to be directly related to the size of her email list. It’s not enough to have social media accounts in place and post whenever you feel like it. You need to have a strategy. And you need to have a different strategy for each platform because each platform is different. Facebook – Facebook is one of the best ways to get traffic to your blog and increase your platform. Unfortunately for bloggers, a few years ago Facebook changed its algorithm. It’s much more “pay to play” now. But you still need to implement a strategy to grow your Facebook page (with or without using ads). I used Strategies Worth Sharing (an eBook) to create the Facebook page strategy I use today. I highly recommend it. There are just too many people on Facebook to ignore it. Whatever you do, commit to consistently posting high quality content that your readers want to like and share. Pinterest – Pinterest is really a search engine, despite its category as a social media platform. It’s also a very powerful platform for bloggers. I took Pinterest Traffic Avalanche and implemented that strategy on my blog. It’s how I get most of my 100k+ pageviews every month. I use BoardBooster and Tailwind and to help with automating some of my pins as part of my strategy. Try one strategy, and if it doesn’t work, move on to the next. Trial and error is the name of the game for finding a strategy that works for you. I also have yet to meet someone who successfully outsources their Pinterest strategy, so I don’t recommend that. Instagram – Instagram for bloggers is more personal than say Pinterest is. It’s a great way to get raving fans who follow you and want to know everything about you. It’s less of a platform to use for pageviews. But that doesn’t mean you shouldn’t use it. Some of my strongest followers are from Instagram. People care about you and want to get to know you more. They also want to learn from you. Instagram is the perfect place for this. It also goes without saying that your Instagram should reflect your brand. Think of your feed as a magazine that flows. I use Planoly for this and for all my Instagram scheduling. It’s a complete gamechanger. In Planoly, you can move all your images around that you plan to post so you can see what your feed will look like ahead of time. This is freaking amazing. Twitter – Twitter is not a place where you’re going to get a lot of blog traffic from. But that doesn’t mean you shouldn’t be on it. You just have to think about it differently. Instead of link-sharing all day, create a strategy that focuses on connecting with your followers. Facebook groups for bloggers are one of the best ways I know of to boost your blog’s performance. It’s also the most underrated because people get sidetracked and enter into useless discussions. Instead, join Facebook groups for bloggers and focus on engaging in really helpful topics. There are countless Facebook groups you can join for bloggers, including mine called The Blogging Mastermind Community. The results are that you can gain followers and learn a ton. I’ve gained tons of followers this way and have learned so much stuff I wouldn’t otherwise know. Not to mention the connections you make with bloggers, which are priceless. If you want to make money blogging, you need to put a strategy in place. Your strategy should include how you plan to make money blogging, and it should monitor your success. More than any other course (by far), Six Figure Blogger taught me exactly how to implement a strategy to make money blogging. It’s not a course for someone who doesn’t have a blog yet, so if you don’t have a blog, don’t get it. But if your blog is up and running, that baby is worth every single penny (and probably more). I completely changed my monetization strategy and dramatically increased my income. It’s that good. The other blog course that I recommend is Making Sense of Affiliate Marketing, which is a course specifically for how to make money with affiliate marketing. The good news is that with a strategy in place, you can constantly try new ways to make money and change what’s not working. If you keep up with it, the end result is that it is possible to make money blogging. Even though your blog is up and running, it’s still important that you take a step back from it and set goals for your blog. Goals will enable you to choose where to focus (because there’s so much to focus on in blogging). Make sure you write down your goals, too. Then, monitor your progress and revisit your goals. If you’re not accomplishing your goals, change your strategy (I swear this has been the key to my success). Keep doing this over and over. Make sure your blog is growing. If it’s not, switch things up! If you started a blog because you want to make money and you don’t have any extra money to work with, I have good news and bad news. The good news is you can grow a blog and make money from it. The bad news is that you need to spend money on your blog to get there (aka “invest in your blog”). 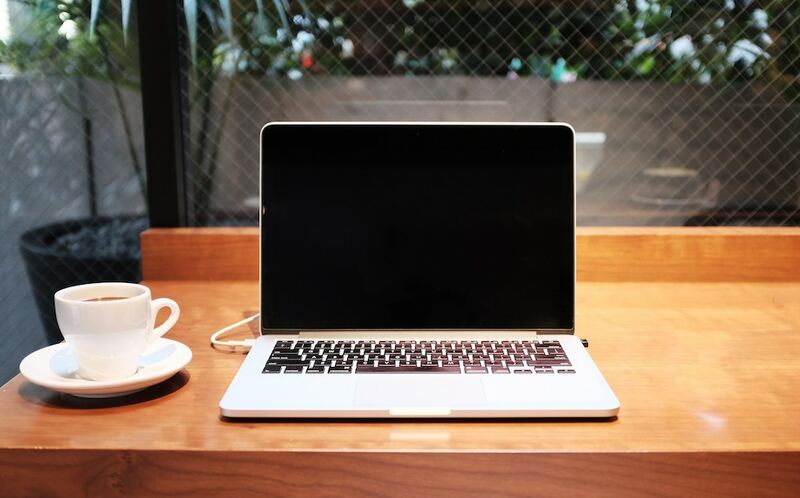 If you’re really strapped for cash and the thought of investing in your blog seems outrageous, you can find other ways to make money to then invest that money in your blog. Example – you can become a virtual assistant (VA) to make money on the side. As a VA, you are paid to do tasks for other bloggers (like edit posts or respond to emails). It’s the perfect way to make money quickly so you can have money to spend on your blog. Over time you can stop doing that work. I have a great post that walks you through how to become a VA. I did this when I first started. I was a freelance writer for a while so I could make money quickly. 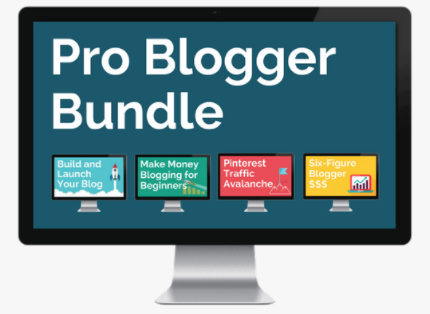 The best way I know for you to get the most bang for your buck is to take the Pro Blogger Bundle, which is four blogging courses that teach you how to launch, grow, and monetize your blog. Whether you’re a complete newbie or have been blogging for years, the biggest piece of advice I have is to continue to learn. Never lose that beginner mentality. Read a book (like How I Made $40k My First Year Of Blogging by Chelsea Lords), listen to a podcast, or attend conferences. Whatever you do, make sure you’re learning because blogging is constantly changing. Blogging is amazing. It’s also crazy. You can feel on top of the world one day and totally lost the next. This is normal. Just keep going. Put time on your calendar (even if it’s just 15 minutes) to work on your blog every day. This will give you momentum. And if you need help with your blog, use a tech person (I use Grayson Bell from iMark Interactive). I made the mistake of spending countless hours trying to learn how to fix broken parts of my site when Grayson could fix it in minutes. Blogging changed my life (and I truly cannot believe I make thousands of dollars a month from it). I wrote this post hoping these tips take your blog to the next level. It’s a grind, but it’s a lot of fun and definitely worth it! Do you have any new things you are working on? Webinars, a product, etc? If you read my Final Note post from March that pretty much sums up everything I’m working on for my blog! Mostly growth right now! 1) Smart Passive Income, 2) Perpetual Traffic by Digital Marketer, 3) Online Marketing Made Easy, and 4) Knowledge for Men (for inspiration)! I identified with your intro immediately. There is an overwhelming number of tasks to improve my blog, and it becomes difficult to prioritize! So much so, that I often find myself procrastinating just because I don’t know where to start. Items on my to-do list over the next few months are finally starting EBA 3.0, implementing a better e-mail strategy, and being more intentional in posting content on my Facebook and Twitter pages. So much to do, so little time! Not related to blogging, but I think this will help! Here’s the link to the book Existentialism on YouTube. https://www.youtube.com/watch?v=1tbLzs1650w It really helped me prioritize! Thank you so much! Going to read/listen to this! Thanks for the tips. You definitely have to invest in your blog! Important step. So hard sometimes but so important! Thank you for sharing about Planoly! I had been using tailwind before, but I like this much better! A lot of people thought they can only earn from their blog and not spend on it. Hi Natalie. I really appreciate your guide. I have read a post of yours referring to pinterest! So i created an account. But i still have zero followers. i have applied for over 10 boards to pin my posts, but haven’t heard from anyone. Pinterest has discouraged me. and i really want to increase my traffic. what do i do?